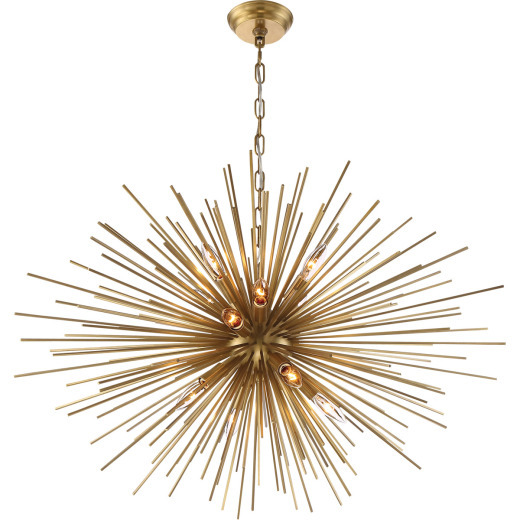 The Burst Chandelier features aged brass and a contemporary style. 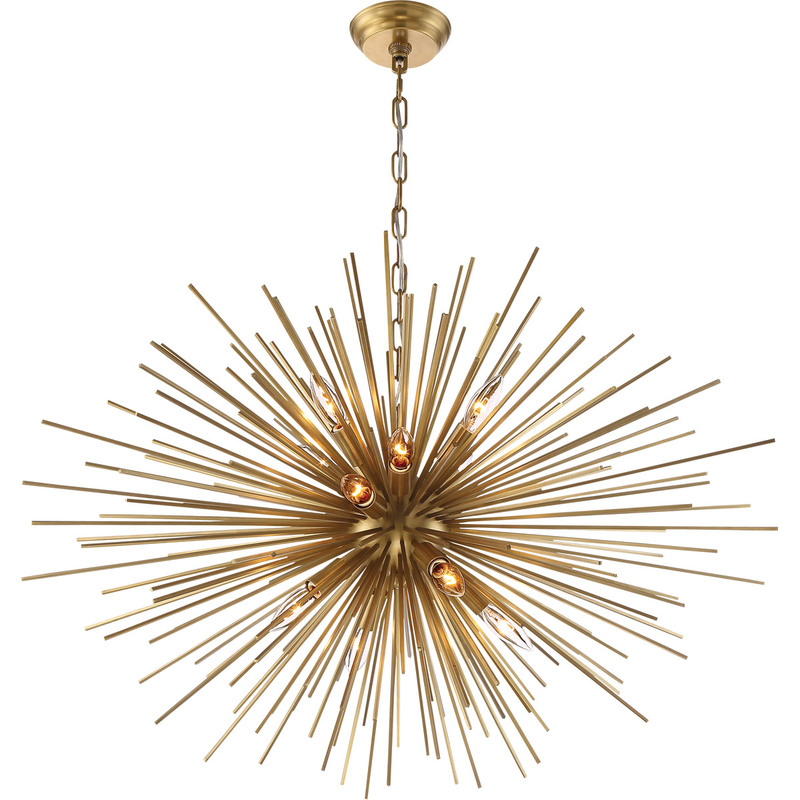 This unique spherical chandelier will add texture and style to your space. Use in the dining room, kitchen or bedroom to add a spectacular look! Features 12 lights. 60W. Available in two sizes, and in aged brass or polished nickel finishes.